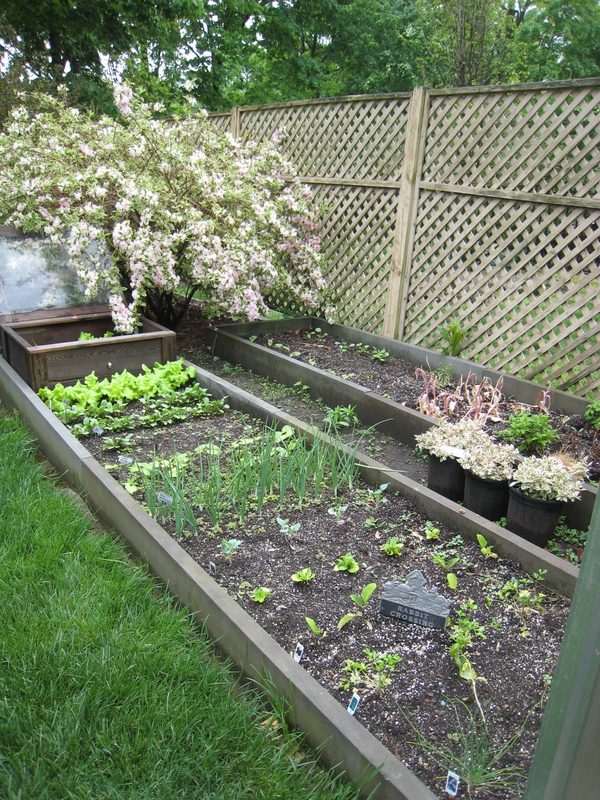 I neatly planted many of my vegetables in May this year. It was a pleasure leaning over the bluestone–edged raised beds and planting the little plants. I liked tucking them in and feeling the soil on my hands. When I was finished that day I took this photo. Do you remember me showing it to you? How neat! How orderly! How short lived!! Then life and my daughter Tory’s softball schedule came along. And in a few short weeks my beautifully laid out little vegetables grew up. And the weeds, like unruly cousins, moved in. The weeds moved in and some of the veggies moved past their prime. I’ve been looking at the mayhem for a couple of weeks, but other chores took precedence. . .until today. 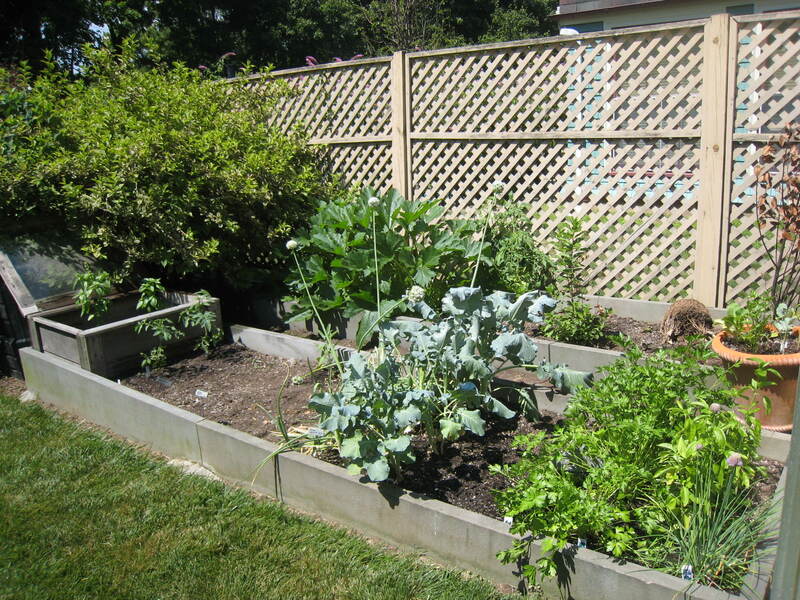 Today, in our blistering NJ heat, I weeded the vegetable garden. Sweat rolled down the sides of my face. When I leaned over to get a better grip on the weeds so I could yank them out, the sweat ran into my eyes. Stinging! 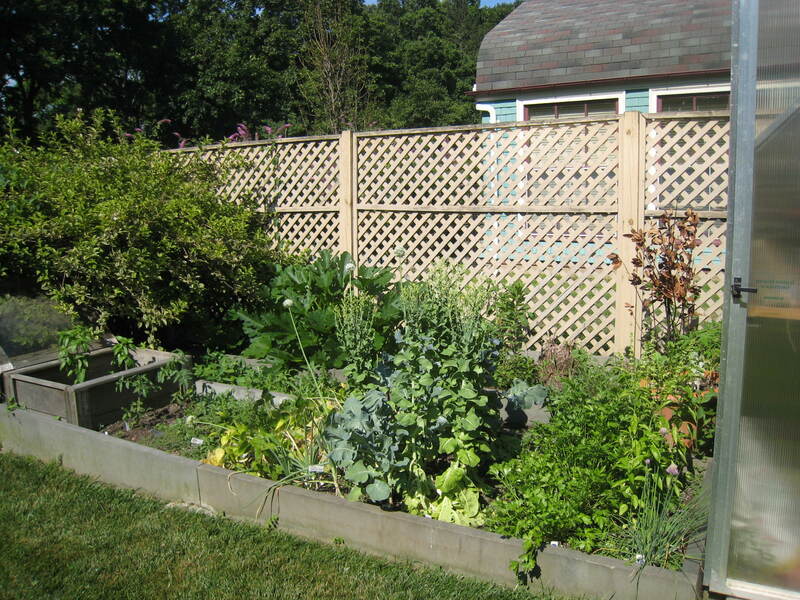 No more mayhem in the vegetable garden! My reward? I mean besides being able to see the vegetables again. Two lovely zucchini! And more (of course) are on the way. Aren’t they lovely? Two lovely zucchini fresh from my garden. Yes, I know. By the time the summer wears on I’ll likely be cursing the prolific plants. But now? Now I love them! 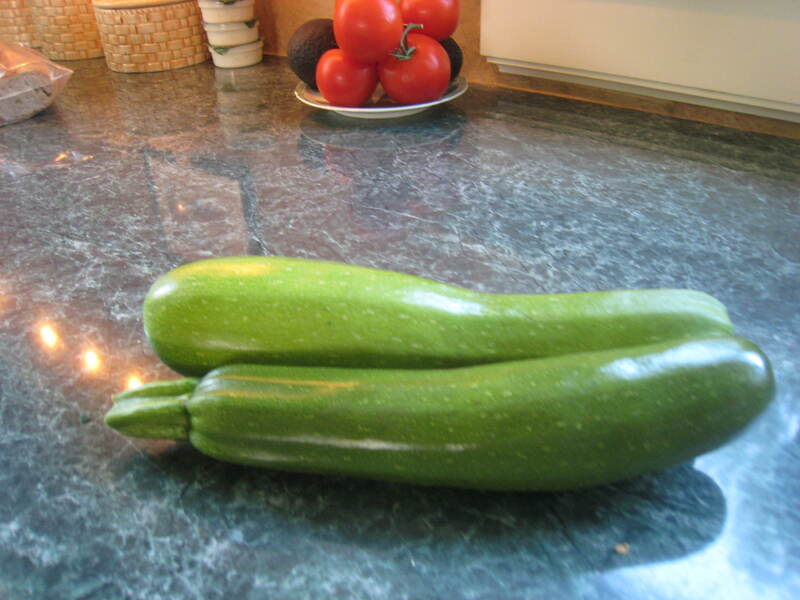 I’m going to make zucchini bread to celebrate my good fortune of having two ripe zucchini. I have two terrific recipes for zucchini bread. And maybe I’ll make zucchini pancakes too. My Aunt Shirley showed me how many years ago in Ohio, where she and my Uncle Chester live and garden. P.S. I finally planted the three ‘My Monet’ shrubs today too; you can see them still in their pots in the veggie garden photo from May. careful what you wish for!! When I lived on Mountain Place off of Valley, my neighbors and I used to sneak out at night and leave baskets of zucchini on each others’ unsuspecting porches — just to get rid of the darn stuff.